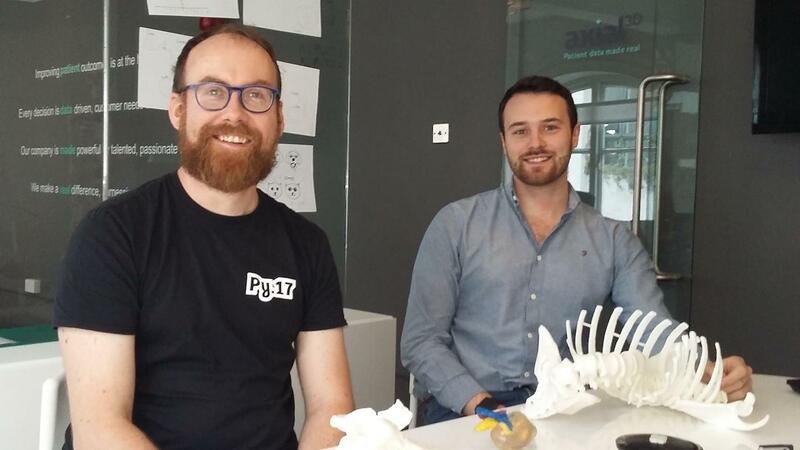 Well-known Belfast startup Axial3D produces 3D prints of your body parts. This isn’t to satisfy the narcissistic social media types – it has important surgical implications. Now, Axial3D is developing new AI techniques to make instantaneous the transition from 2D images to 3D prints. It wasn’t clear to me why instant results were important – so CEO Dan Crawford explains it. I get it. This business is unique, and hugely promising, but rather than being a ‘nice to have’ bit of extra medical attention that only wealthy patients could afford – to bring it to the mass market, in all hospitals – means making it instant. To imagine a hospital of the future, a 3D printer could sit in the same area of the hospital as your MRI or CAT scans. You go in for a scan, and come out with a 3D model of your body part. As Axial3D grows – and it has done significantly in the past two years since I first met the company – I wonder whether it will expand into the medical implants business. At the moment, most of the 3D prints are used before surgery, so the surgeon can perfect technique and know exactly the layout of blood vessels, bone and so on. That’s why Dan hired Niall Haslam. His experience was eerily perfect for this job, since he’s worked in both biology and software engineering. Imagine if a person had a head injury and a portion of their scalp needed to be replaced. The injured area could be scanned, and the new piece of scalp 3D printed, so that it was an exact fit. Axial3D has won a prestigious place with the NWCAM project for their AI development, and they’ve got four academics based at NIACE who will be working with what Dan calls “clever materials.’ (NWCAM is funded by the EU’s INTERREG programme). He says, “There are two stages to the process, the virtual stage where a medical image becomes a 3D file – that’s our portion of the business – and then the physical process of turning it into a 3D object – this is what our partners do,” he says. This proprietary AI algorithm will be critical to Axial3D’s success. Have they filed a patent? Will they open a US office? “We’re doing work in San Francisco and Boston at the moment, and a Boston location would make sense due to the shared working hours with our HQ in Northern Ireland,” Dan explains. Are they actively selling into the US market? “Hospitals are assessing the beta with positive results,” Dan says. That new funding will enable Axial3D to extend their reach far beyond the first installations they’ve had this year, amongst them Royal Victoria Hospital, Barts at Royal London, and UCD.